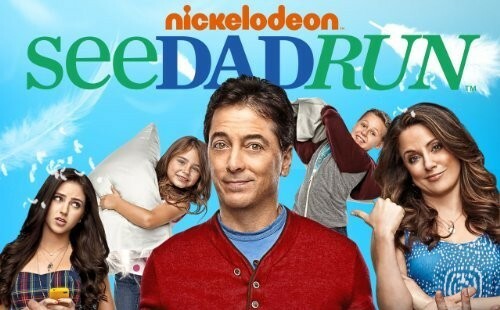 Scott Baio is back for a new season of See Dad Run on Nick at Nite. The first year was a rating success for the cable channel. Will season two be a hit as well? Will there be a third season or will the sitcom be cancelled instead? We shall see. Airing on Sunday nights, See Dad Run features the talents of Baio, Alanna Ubach, Bailey Michelle Brown, Jackson Brundage, Mark Curry, Ramy Youssef, and Ryan Newman. There are 20 episodes once again. Below are the show’s TV ratings, the best way to tell if this TV series will be cancelled or renewed. These figures will be updated as the weeks progress. 0.3 demo rating (0% change) with 1.22 million (-4% change). Season averages: 0.30 in the demo with 1.24 million. 0.3 demo rating (0% change) with 1.27 million (-7% change). Season averages: 0.30 in the demo with 1.25 million. 0.3 demo rating (0% change) with 1.36 million (+22% change). 0.3 rating in the 18-49 demographic with 1.11 million total viewers. Season average: 0.30 in the demo with 1.11 million. Compared to the series premiere, the second season debut was on par in the demo but was down by 32% in viewership (vs 1.64 million). Reference point: Season one averaged a 0.3 rating in the demo with 1.36 million viewers. What do you think? Do you like the See Dad Run TV series? Do you think that it should be cancelled or renewed for a third season? I love this show! It’s adding to my childhood since I seen Scott Baio and Mark Curry, the family, his assistant the chemistry is great. Plus they get lots of laughs! Hope there’s another season! I love the show!! I grew up watching happy days, Lavern and Shirley and the Brady bunch and not only enjoyed the shows but found great life lessons from them. Far better then the reality shows that have come onto the scene..
You should keep this show on the air and if it doesn’t have enough viewers try to market it better before giving it the ax! I live this show. Its really cute. Im a mom of grown children but still watch nick!! Its so refreshing to see a show where the teenage daughter doesnt have a bad attitue. Thats what I enjoy most…well then there IS Scott Baio!! I am excited to see Mark Curry from Hangin’ with Mr. Cooper back on tv. He is hilarious and Scott Baio is hysterical. There seems to be great chemistry between the two on the show! Your show is #1 with me…just keep up the fun and don’t stop the shows….we all need a good dose of “See Dad Run” each week…. Would you ever think of making a movie…? Does your wife and daughter act…? Here’s to many more years of seeing Scott…..on TV…. I have enjoyed the show so much. I’m praying there will be several seasons to come. Scott Baio is one of my favorite actors and I enjoy his work. Keep them coming : ). I have always enjoyed Scott Baio. I enjoy the See Dad Run show as well. I hope it gets picked up for several seasons. I hope there is a season 3!